As a business grows it can be easy to lose sight of the values that once made the business great. Fusion Affinities in Bristol evaluate why holding on to original beliefs are so important and how these beliefs can increase customer retention. 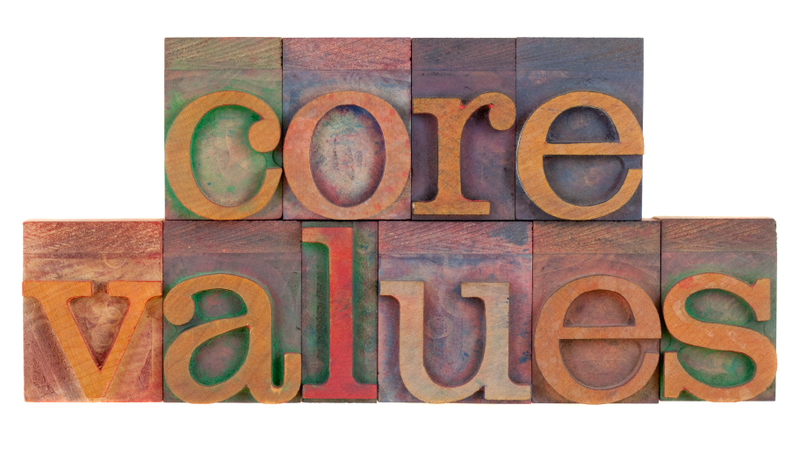 A business' core values are what sets them apart from the competition. These core values define a business’ identity and reflect their vision, philosophies and brand culture. Sales and marketing firm Fusion Affinities understand that for long established businesses it can be easy to lose sight of the original core values which supported their early success, however the firm urge businesses to review their values and beliefs in order to keep loyal customers happy and maintain their rate of growth. For many consumers, a shared set of values with a brand is what influences their purchase decision. Customers look for businesses that hold the same beliefs as they do, and losing sight of these beliefs will often lead to losing these customers too. For example, handmade cosmetics brand LUSH have built their brand on the core values of only ever using natural ingredients in their products and never testing on animals. Many of the LUSH’s consumers have chosen their brand because they too hold strong views on animal testing and support the use of natural ingredients. If LUSH were to lose sight of their core values and turn to using cheaper artificial ingredients and chemicals in their products the brand would be betraying their loyal customers beliefs and would lose a massive percentage of their customer base as a result. Fusion Affinities believe that to ensure a steady rate of growth, businesses must ensure their core values are upheld even during poor economic climates. When a business grows and new people are involved in the decision making process it can be easy for the style and culture of that business to change. Add to this the technological advancements that have altered even the simplest business processes, many businesses may turn their back on their values without even realising. Fusion Affinities have suggested two key areas where values could be lost, and offers advice on how to restore core beliefs. As previously mentioned, technology can make a business more efficient; however it can also remove a company’s personality. Fusion Affinities suggests that businesses should review what technology is essential, and what is merely acting as a barrier between them and their consumers. After operating for a number of years it can be common for business owners to lack the passion they originally held for their industry, a lack of passion can be detrimental for the whole business and can lead to standards and values slipping. Fusion Affinities believe that businesses must constantly look for ways to renew their passion for their business. Many business owners achieve this by putting themselves back on the front-line of customer service in order to see the difference their services have made to their customers lives. Fusion Affinities are a Bristol based sales and marketing firm who offer innovative direct marketing solutions to their clients. In order to accurately locate a target audience for their clients the firm work closely with each client to fully understand their core values and goals. Understanding these values ensures Fusion Affinities can create an honest and effective marketing campaign, aimed at building strong and lasting connections with consumers.